With the onset of moth season, I have been anticipating the return of some of the species I encountered last year. I don't have a very good grasp of the flight chronology of our local regulars, so I basically just think of some of the more memorable species and think "When will that one be here?" Several nights ago, after seeing many Orthosia hibisci, I wondered when O. transparens would make an appearance. It is quite distinctive as it is largely rusty-toned with indistinct orbicular and renal spots on the wing. I personally enjoy its silver-tipped mohawk, though. It was almost like I rubbed some kind of magic moth latern because it was out there that night. 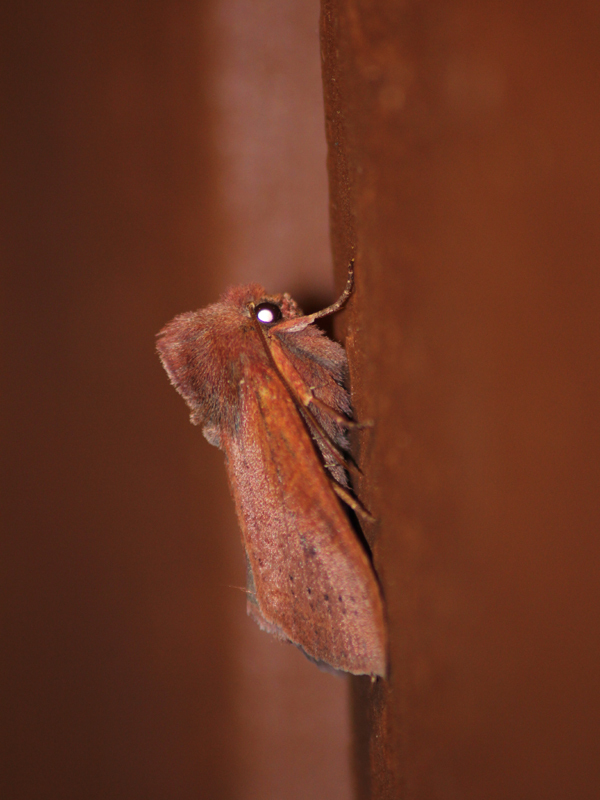 Orthosia transparens has the mullet equivalent for moths - business up front, party in the back! see the silver-tipped mohawk here and the faint wing spots. A couple days later, I was thinking "When will that wicked moth with the lime green markings turn up?" Less than half-an-hour later, a moth landed on the window briefly and then settled under the light. It was the hoped for Behrensia conchiformis. Am I some kind of moth whisperer? Could I be the legendary lepidopteran prophet, Mothtradamus? That might be something I made up, but I like it better than referencing a 2002 thriller, "The Mothman Prophecies", starring Richard Gere and Laura Linney. Rather than talk about decade-old movies, let's see this wondrous moth that I prophesied. 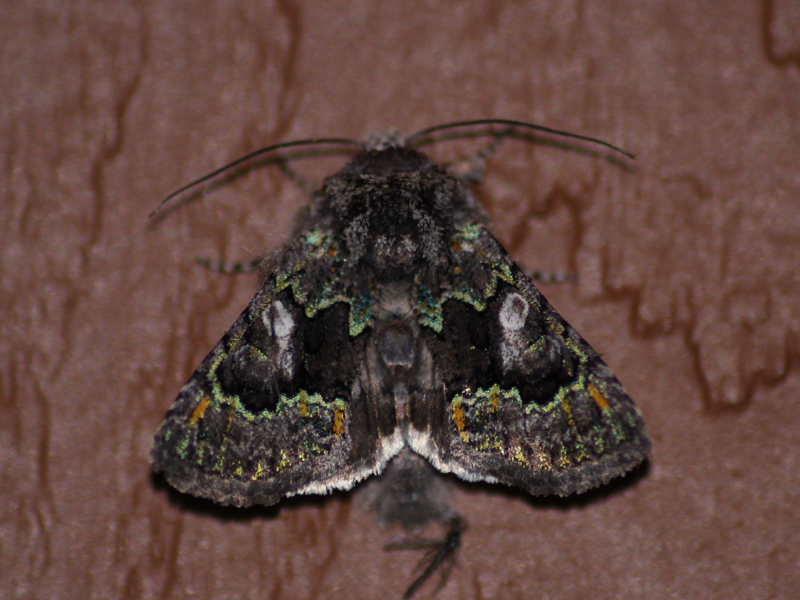 tracing the edges of the mid-wing dark sooty patches really jump out and make an otherwise drab moth very memorable. One final prediction was made today before heading to Oak Haven Park in Brentwood Bay. I photographed a nice moth - Epirrhoe plebeculata - last year at the same location last year and I had my fingers crossed for a repeat event. Apparently this prediction was a little too obvious... like watching America's Funniest Home Videos and predicting the father will get hit in the groin when he pitches a ball to his kid from four metres away. 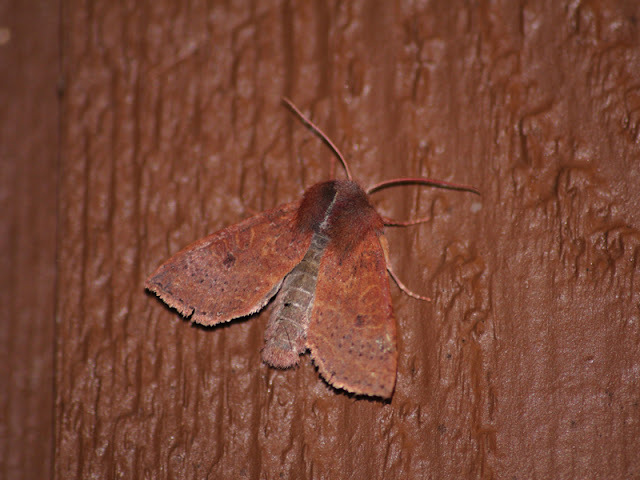 Unfortunately this moth is nowhere near as funny, but it is enjoyable all the same. 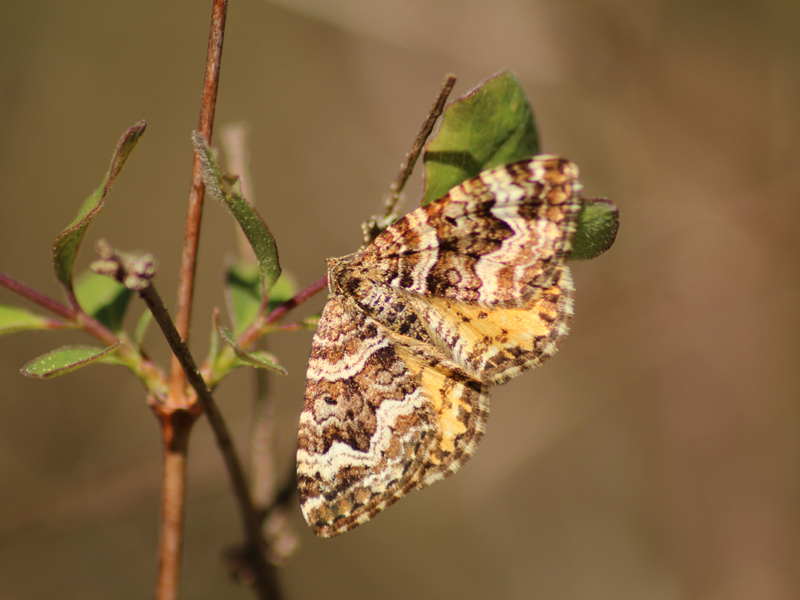 This early season day-flying moth is easily recognized with its tiger-patterned hind wings. I don't know enough species to keep making predictions, so I think I'll retire with a perfect record. In the back of my mind, though, I'm already thinking "When is that Orthosia praeses going to fly in?" It could be out there now. I'll check with my Magic 8-Ball... "Reply hazy, try again". What a sham! You did you not talk about getting pooped on today by high flying Western Gulls at Oak Haven Park? It was magical! Glaucous-winged Gulls... please amend your volunteer form down to the <25% category.